Next I found Yorkshires - no Englands best asset - The Sewing Centre in Scarborough. Its a fabulous source of material and at a fantastic bargain price too. Whilst there I booked a workshop with a local group. I learnt so much and soon became a regular attendee. 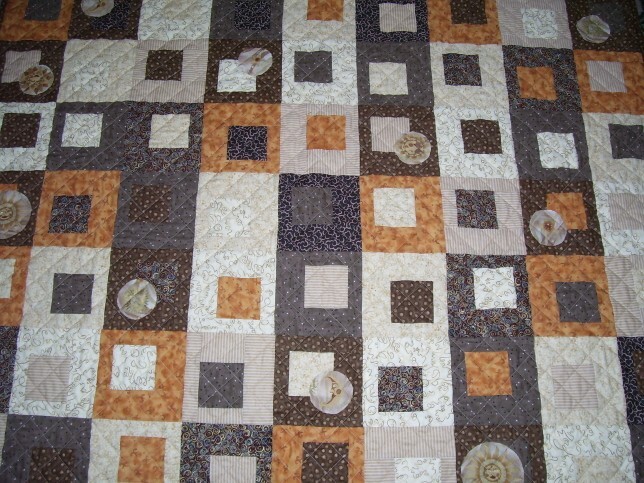 Here is my second Quilt - a vast improvement on my first. One thing I have not yet mentioned, Tim grew up with Susan Briscoe. Tims Mum is Susans Godmother and vice versa. We arranged with Susan for her to come over and teach if I could get a group of quilters together. So thats just what we did. Here is one of the quilts I made with Susan on her first visit to The Royal Bridlington. The ladies had such a fantastic time they started to ask if we could do it on a regular basis with a variety of tutors. So thats how it all began and the start of our famous patchwork and quilting workshops.